Scientists Transferred Memories From One Snail to Another. Someday, Humans Could, Too. 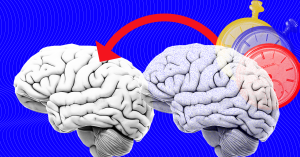 It also might help scientists finally agree where we store memories. You may not carry your house on your back or release sulphuric acid, but you’ve got a lot more in common with a sea snail than you may think. Especially where your brain is concerned. Yes, sea snails may have 20,000 neurons — a paltry sum compared to humans’ 100 billion. But scientists have been studying sea snails for a long time, and they know an awful lot about how the organisms learn. Many marine organisms function the same way mammals do, except the processes that keep them alive are just way less complicated. And sea snails are no exception — their nerves transmit impulses much the way ours do. So, it’s impressive that researchers from UCLA were able to transfer memories of being shocked between marine snails. Even more impressive? That early research may someday pave the way for similar processes in humans. In the study, published Monday in the journal eNeuro, snails in one group were trained to respond to a stimulus — in this case, a shock to the tail (animal lovers, don’t fear — the shock didn’t hurt the snails. It just triggered a defensive curl reflex, sort of like snatching your hand away from a hot stove). At first, the snails would only curl for a few seconds. But through repeated shocks, the researchers trained them to curl for longer, up to about 50 seconds. Next, the team took some ribonucleic acid (RNA), which forms proteins based on cells’ DNA, from nerve tissue in the upper abdomen of trained snails and injected it into the untrained snails’ necks to get to their circulatory system. When they were shocked, the snails that weren’t injected with RNA curled for only a few seconds, the way all snails do when they haven’t been trained. But the ones injected with RNA from the trained snails? They held the pose for 40 seconds, as if they remembered how to respond to a stimulus, even though they had never encountered it before. The researchers also tested some of the same techniques on snail neurons in a petri dish. To treat memory-related illnesses in humans, we’ve first got to understand how the brain stores memories in the first place. The UCLA team suggests their research might one day allow us to, as the study states, “modify, enhance, or depress memories.” That could lead to new ways for people with early-stage Alzheimer’s to regain some of what they lost, or novel treatments for Post-Traumatic Stress Disorder (PTSD). Let’s not get carried away, here — these are snails, after all. These findings don’t close the debate about where memories are stored, and they certainly don’t mean that we can instantly restore detailed memories in humans. But there are many different types of RNA, and Glanzman’s team plans to do more research to figure out determine which types most directly impact memory. So, we’re still a ways off from becoming a karate black belt simply by injecting some RNA into our necks, or downloading sweet dance moves directly to our minds. But we may be a step closer to it, thanks to the humble, oft-shocked sea snail.